Before I started this blog in June 2008, I spent about six months compiling statistics on all aspects of Southern California maiden sprint races. From June 2008 to April 2009, I posted picks here in nine of 11 months, earning a profit in eight months. As of April 30, 2009, my total winnings were $21,685. But, because I also work 40-50 hours a week at a Las Vegas race & sports book, it is difficult to find the time to both do the blog and keep up with the research necessary to keep my finger on the pulse of Southern California racing. The angles that worked 10 months ago may or may not be working today. And if they are working, the odds ranges I need might have drastically changed. So, as 2009 has gone by, the info I compile has become more and more outdated. For example, the statistics I need to evaluate trainer angles are missing the last four months. And that’s not too bad when compared to the year’s worth of data I need to enter for my pace model, which is crucial for 6-1/2 and 7-furlong races. And because I’m using old information, my winning has turned to losing. In fact, from May 2009 until today, I posted losses in five of six months and am down a total of $7,225 for that period. Really, right now there is no way I can catch up with the record keeping while continuing to do the blog and bet the horses. Also, I am now taking a mandatory three-hour class for work which includes three hours of homework a week. The class may not sound like much, but with running weekly errands, tracking stocks and bonds, sleeping and going to the gym, I had nowhere to fit it in. In the future, it looks like I’ll need to select certain meets to play, such as Santa Anita, Del Mar and Oak Tree while using the other months to evaluate and compile information. 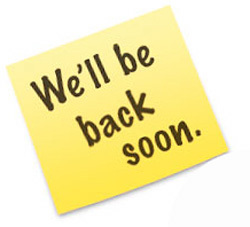 So, I am going to stop on the blog for a few months until I am up to date on everything, which — if all goes well — should be sometime in early 2010. To me, it looked like #1 Paddy’s Magic could have taken a maiden special weight race rather than the $32,000 maiden claimer that he won. Not only did this gelding, who was the 8-to-5 favorite, win by a wide margin, but he also broke slowly and made up four lengths on the backstretch in the blink of an eye. On Aug. 23, Paddy’s Magic had a bad trip when running a 65 Beyer Speed Figure, but I did not see five lengths worth of trouble. Breaking next to Paddy’s Magic in this race was #2 Learn the Sport, who ran a 76 Beyer on Sept. 4. Coming into the race, I liked Learn the Sport because he had the right running style for 6-1/2 furlongs, he had the top last race Beyer and he was 4-to-1. 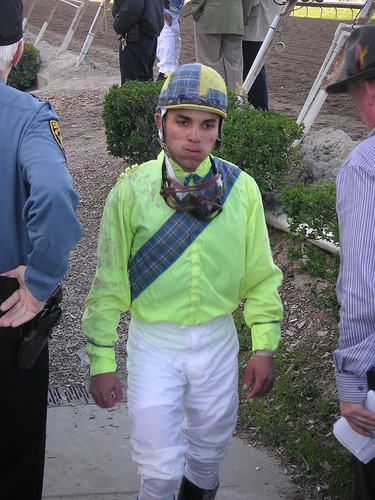 But it wasn’t Learn the Sport’s day, as jockey Reyes Santiago pushed him along in the stretch without response. I also liked two second timers in here but neither of them landed in the odds zone. In the end, I bet $300 on #2 Learn the Sport. Almost all of Bob Baffert’s horses are bred to win stakes races, so they can dominate a field of maiden special weight sprinters at any moment. Rafael Bejarano rode #10 Excellent News in her third lifetime race after she spun an 82 Beyer Speed Figure in her second race on Aug. 29. Since the median winning Beyer Speed Figure for this race was just an 80, Excellent News was a standout — especially considering that the next highest Beyer was just a 69. There were no secrets with this filly. She had the top Beyer, a top jockey and a top trainer. It was easy to see her outstanding qualifications and it was no surprise that the public knocked Excellent News’ odds to 4-to-5. But with odds this low, horses need to win some 70-to-80 percent of the time to make a bet worthwhile. And all of us bettors are all dealing with incomplete information, so it’s tough to find angles that work seven out of 10 times. A couple of first timers in this race — #4 Stunning Ally and #7 Carrie Rose — had strong long-term angles working for them. And I also took a chance on second-time starter #5 Evening Jewel. However, Excellent News won like a 4-to-5 shot should win. At the window, I wagered $200 on Stunning Ally at 9/1, $100 on Evening Jewel at 5/1 and $150 on Carrie Rose at 8/1.